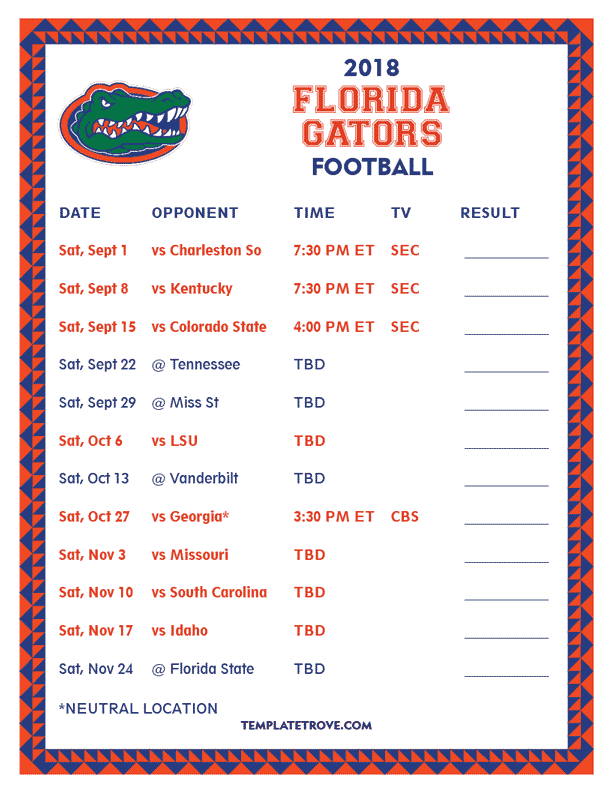 Keep up with the Florida Gators football in the 2018 season with our free printable schedules. Includes regular season games, TV listings for games if available and space to write in results. 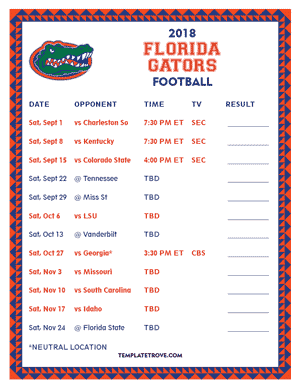 Schedules print on 8 1/2" x 11" paper.